The Web.com Tour Finals is a series of tournaments played at the conclusion of the Web.com Tour "regular season," and after the conclusion of the PGA Tour's FedEx Cup "regular season." 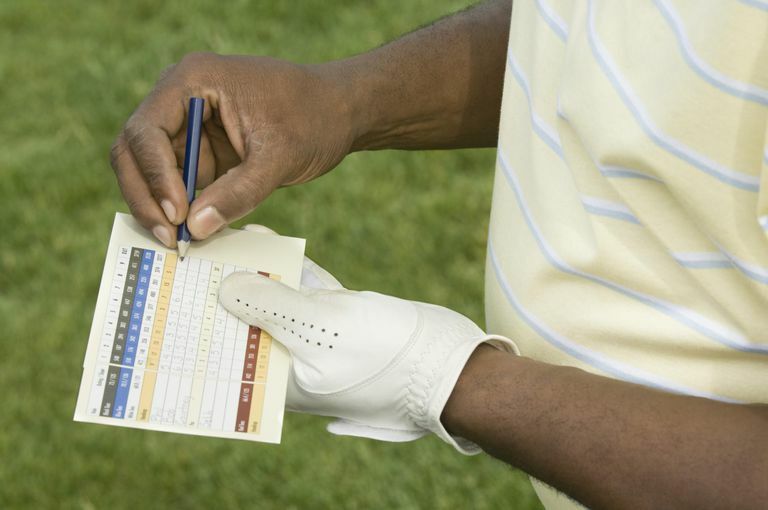 At the conclusion of the Web.com Tour Finals, a total of 50 PGA Tour cards is awarded, meaning that those golfers earn varying levels of membership on the PGA Tour for the following season. The Web.com Tour Finals began in 2013, replacing PGA Tour Q-School as the primary path to PGA Tour membership. (A Q-School is still played, but awards memberships to the Web.com Tour rather than to the PGA Tour). The Web.com Tour is the PGA Tour's developmental circuit, what in the past was called the Nationwide Tour (and several other names going back farther). Who Gets to Play in the Web.com Tour Finals? The Top 75 players on the Web.com Tour money list. The golfers who finished 126-200 on the PGA Tour FedEx Cup points list (in other words, those PGA Tour members who failed to qualify for the FedEx Cup playoffs). Plus any PGA Tour non-members who earned enough FedEx Cup points that they would have finished 126-200 on the points list had they been members (this refers to, for example, golfers coming out of college who get starts via sponsor exemptions or Monday qualifiers). Those golfers play off for PGA Tour cards in the Web.com Tour Finals tournaments, a series of four events. Aug. 30-Sept. 2, 2019: Web.com Tour Championship at Atlantic Beach Country Club in Atlantic City, Fla.
From 2013-2018, there were four tournaments in the Web.com Tour Finals. Beginning in 2019, that changed to three events. Golfers who finish 1 through 25 on the Web.com Tour's regular-season money list are guaranteed PGA Tour cards. Those golfers still play the Web.com Tour Finals events, however, in order to establish their priority ranking. But the golfer who enters the Finals as the Web.com Tour regular-season money leader is guaranteed full PGA Tour status regardless of how he fares in the Finals; and the golfer who earns the most money during the tournaments of the Finals is also guaranteed fully exempt status. Fifty golfers will earn PGA Tour membership via the Web.com Tour Finals. As noted above, 25 of those 50 cards go to the golfers who finish 1-25 on the Web.com Tour's regular-season money list. The other 25 cards go to golfers earning the most cumulative money over the Web.com Tour Finals series of tournaments. The order in which the golfers finish in Finals earnings also determines their rank on the PGA Tour priority list. The 50 Finals "graduates" move into a PGA Tour exemption category that places them next in line to fill PGA Tour fields just behind PGA Tour members who finished 1-125 on the FedEx Cup points list. So a golfer who finishes third in Web.com Tour Finals money will be able to get into almost any PGA Tour event he wishes to play; but a golfer who finishes 45th in the Finals might miss out on some preferred tournaments (because that golfer will be No. 170 on the priority list). But all of the 50 golfers who earn PGA Tour membership via the Web.com Tour Finals should be able to play full (20-plus tournament) PGA Tour schedules. The Web.com Tour Finals is a series of three "playoff" Web.com tournaments played in August/September, and culminating in the Web.com Tour Championship tournament. The fields are comprised of golfers finishing 1-75 on the Web.com Tour regular-season money list; plus golfers who finished 126-200 on the PGA Tour FedEx Cup points list.